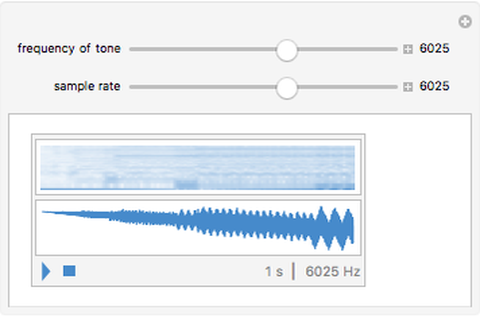 Press the button to hear a sine wave tone, sampled at the specified rate. 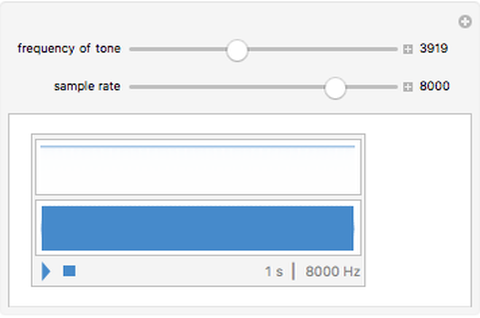 Significant distortion occurs when the sample rate is below twice the frequency of the tone. 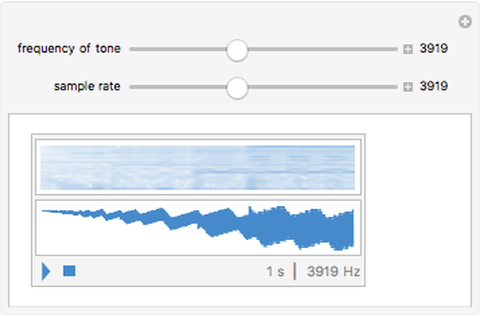 Stephen Wolfram "Pure Tones with Sample Rate"